This year, you can prepare Thanksgiving dinner in a modern chef’s “dream kitchen”, surrounded by family in a luxury vacation rental home from Savannah Dream Vacations. Thanksgiving is a time to be together with those we love. Every year, we feast on plenty and celebrate together to give thanks for our blessings. But if your kitchen is cramped, or your house is low on space, cooking at home can be a real pain. Book a luxury vacation home with Savannah Dream Vacations, and you can get the whole family together in a historic Savannah home with a modern fully-equipped kitchen. All of our Savannah vacation rentals have full kitchens, and we’re highlighting four properties with the finest for you to check out here! “Miles” of counter tops, cabinets galore! 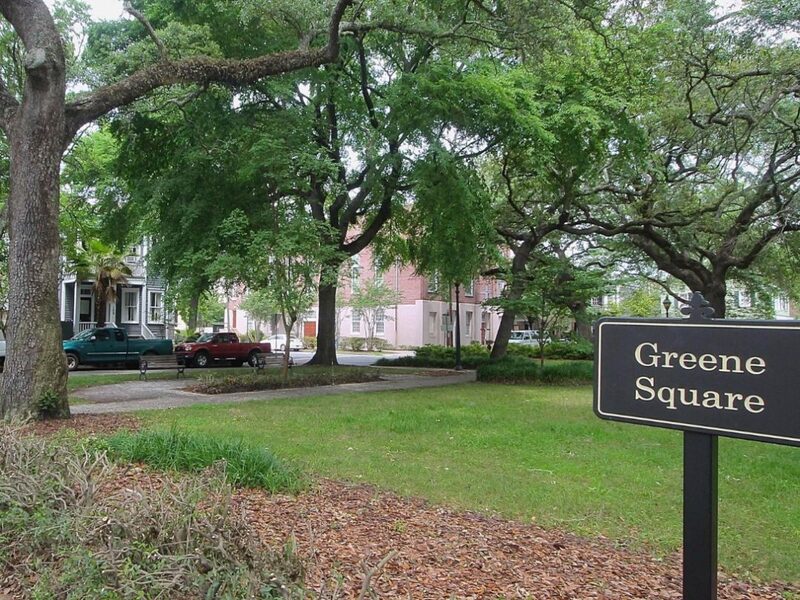 Looking out onto beautiful Greene Square, it isn’t hard to imagine the kids throwing the football in the square, or serving Thanksgiving dinner to the family in the formal dining room of the Norris Cook House. For the discerning chef, however, the modern, new kitchen in this property is the star of the day. Stone counters, under-lit cabinets, stainless appliances, and a gas range check off every item on the list in this fully equipped dream kitchen. Just bring the groceries, and you and the sous-chefs will have plenty of room and everything you need to make a Thanksgiving dinner no one will soon forget. The newly renovated Norris Cook Savannah vacation rental has plenty of room for the family, including a private courtyard to relax and sip a glass of wine to celebrate having pulled-off the perfect Thanksgiving Day. Start a new Thanksgiving tradition in 2018: it doesn’t get any more modern than this property! 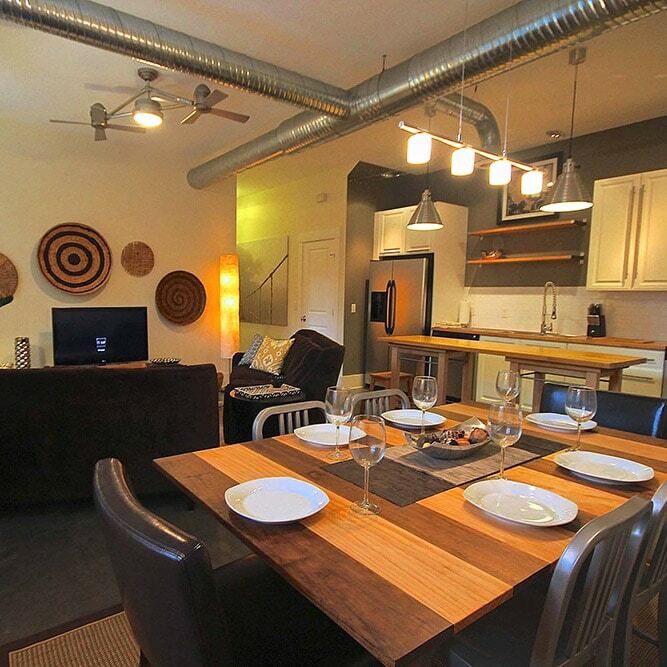 The Urban Chic Savannah vacation rental home has three bedrooms and three bathrooms, and a lush outdoor bamboo retreat out back. The kitchen of the Urban Chic home is open, spacious, fully-stocked and finely appointed. The open-concept is perfect for entertaining, so the whole family can be together while the kitchen is bustling and the game or parade is on the flat-screen TV. This is a great property to choose for giving thanks, everyone can be together and still have enough room to spread out! Set up a buffet on the island separating the kitchen from the living room, or carve the turkey at the dining room table. You can even eat outside. Have a large family? Need extra space? We have just what you may need! 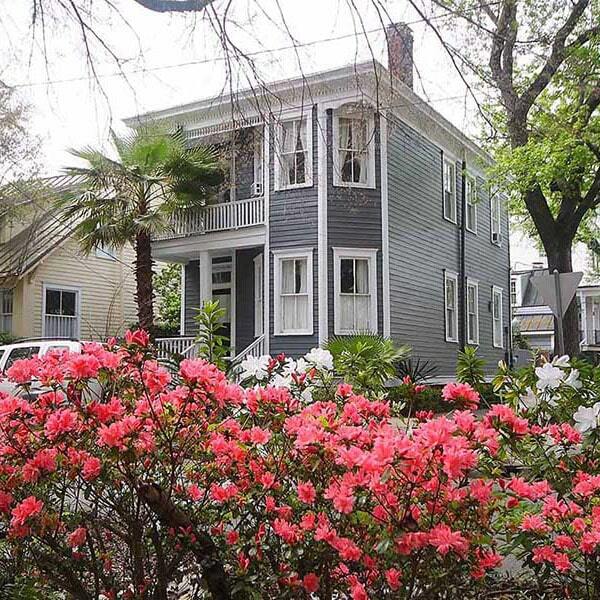 The Savannah vacation rental homes 506 and 508 East Waldburg Street are available to rent separately, or together! You can have the whole building, with enough space for the entire clan: six bedrooms, four bathrooms, and two full kitchens in 3200 square feet! Both units have beautiful hardwood and tile floors, luxury kitchens with granite counters and stainless appliances, with your choice of gas range in 508, or glass surface range in 506! Huge porches face the street, or the private shaded backyard, and each unit is 1600 square feet of open, renovated perfection. Need to watch more than one football game, or separate the fans of opposing teams? 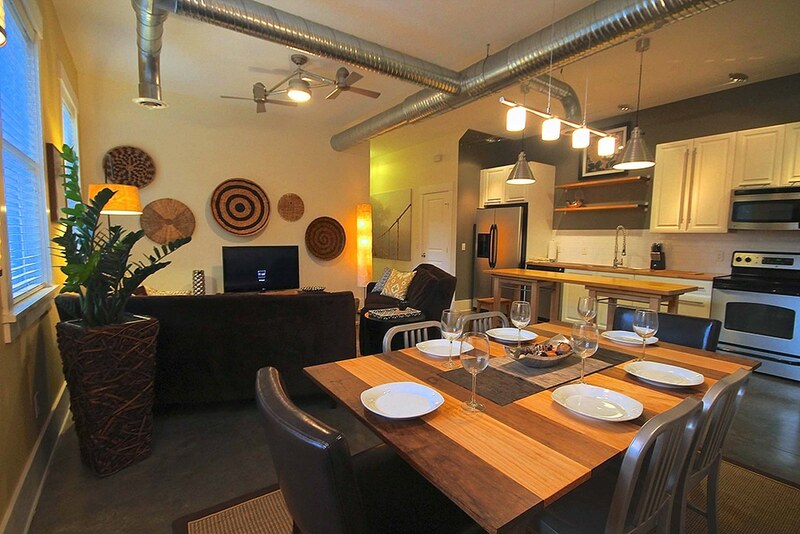 Each unit has it’s own living room and flat-screen TV. Thanksgiving for the large family couldn’t be more fun or easy at Savannah Dream Vacations. Let us take the stress off of your kitchen, and have a Savannah Thanksgiving tradition you’ll never forget. All of our properties are in great locations: the Historic District, Isle of Hope, and Tybee Island. The Savannah Dream Vacations staff can even take special requests to make everything just right. Call us at 912-713-7278, contact us, or Book Now, to get started on your Savannah Vacation.